Interference is more than just a crackle on the line in this haunting trilogy of near-future plays, commissioned and directed by Cora Bissett for the National Theatre of Scotland. Each play takes place in a world where humans are separated from each other and looked after by an all-seeing, anonymous corporation. 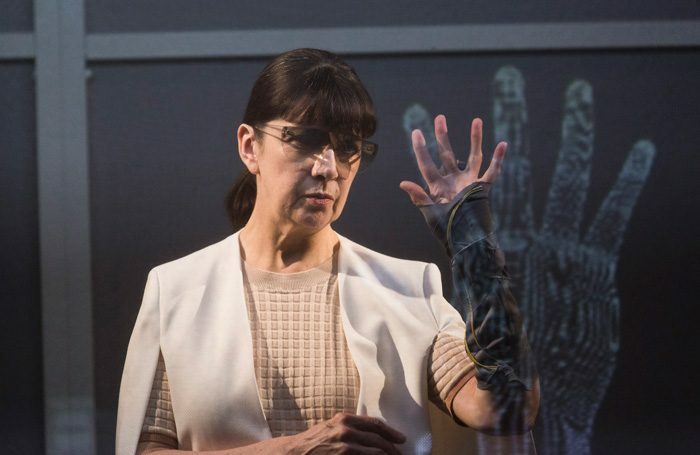 Morna Pearson’s Darklands – the most intriguingly structured and satisfying of the plays – is set in one of the rooms in which individuals can talk to the company’s disembodied AI representative, Moira (Maureen Beattie). In this way the hopes of Shyvonne Ahmmad’s tense Brie and Nicholas Ralph’s dorky Logan are slowly revealed, as well as Moira’s unsettlingly cynical manipulation of them. In Hannah Khalil’s Metaverse, Beattie plays a scientist working in a remote laboratory, communicating with her daughter (Ahmmad) in a virtual chat room. The interference here is more literal, a gap between perception and reality. 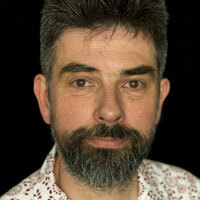 Vlad Butucea has set his play, Glowstick, in an old people’s home. Beattie plays River, an elderly, infirm woman who is being cared for by Moyo Akandé’s brilliantly realised “carebot”, Ida. In this cleverly twisting play, Butucea examines all the things that make us human: free will, imagination, music, laughter – and death. Bissett’s production is inventively staged in an empty office space. Garry Boyle’s impressive sound design, and the continuity of Moira as a narrator, makes the audience part of the piece – applicants to the corporation’s programme, looking at what the future could hold in store for them. This is made to feel like a potential reality, rather than fiction. And it’s all the more satisfyingly chilling for it.